Dr. Morey Filler, MD, graduated from New York University School of Medicine and completed his internship and residency at Mt. Sinai Hospital School of Medicine in New York. He served two years as a major in the United States Air Force at Hamilton Air Force base in Novato, California. 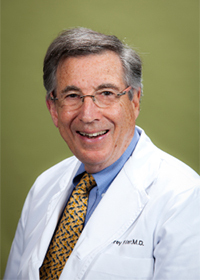 Dr. Filler is a seasoned clinician, practicing gynecology in San Francisco. He no longer does obstetrics, having performed over 7,000 deliveries to his credit. His interest now focuses on gynecology, infertility, menopausal management, MonaLisa Touch, and interesting contraceptive choices, such as Nexplanon. Dr. Filler’s interests outside of his medical practice include a love of travel to exotic locals, gardening, skiing, golf and tennis. Much of his time is also spent with his wife, watching their five grandchildren grow and prosper. Despite having 7,000 deliveries to my name, my focus now is on gynecology, infertility, menopausal management and contraceptive choices.